so you've all seen my grey made-over dining room chairs that i purchased on craigslist, yes? well, they are on their last leg. most of the paint is knicked in places, the upholstery has gotten very dirty, and one of the chairs is broken and completely unusable. so with the move to the new place, i knew it was time to start looking for some new dining chairs. 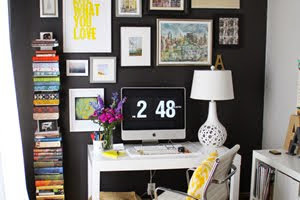 i was thrilled to be contacted by the home goods website Euro Styling Lighting - a site that believe it or not, offers so much more than lamps and lighting fixtures. in fact, i found two of my most favorite chair styles on their virtual pages (for less than half the price at other retailers). the wishbone and the molded white plastic that looks like it's standing on a four-legged tripod. a quadpod? in the words of buddy the elf... beauuuutiful. this has been my faaaavorite style chair since forever. i even had danielle take a photo of me sitting in one on our trip to abc carpet and home in new york city last fall. oooo... ahhhh... this style is half the price at eurostylelighting. tempting. so to back track for a minute. 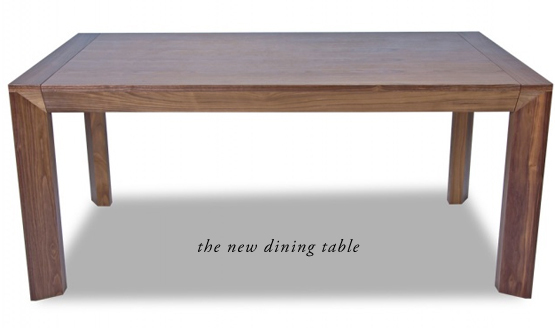 our new dining room table arrived thanks to the folks from fashion for home. as i said in my last post, it takes months for most of this site's items to arrive - we ordered the table back in late july. but that's how they are able to sell their products for half the price other retailers do. each item is made to order. and i must say, it's quite awesome. i've never owned such a sturdy piece of furniture. i'm also loving the brown wood texture. mike influenced me to stray from my preferred white lacquer finish and i'm glad we did. 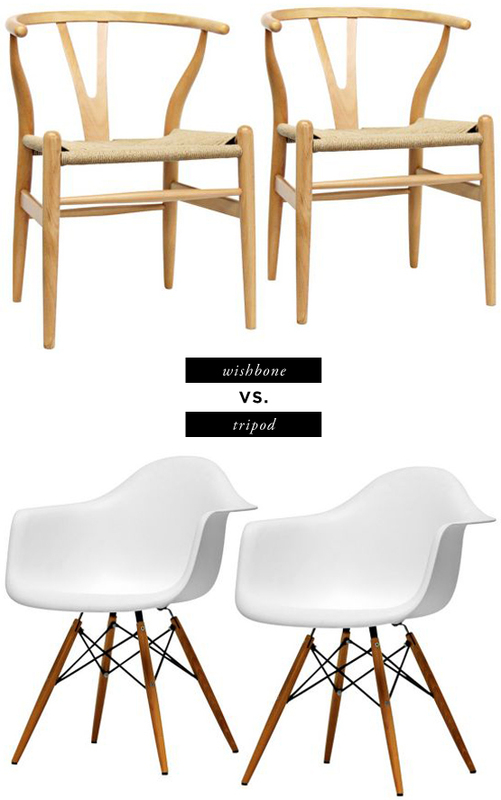 so now the question is: wishbone chairs or white plastic chairs? vote above and/or in the comments! 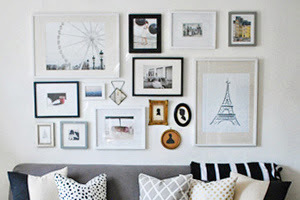 follow along my new apartment decorating process! I love the wishbone chairs, but I had to vote for the plastic chairs for the contrast with the table. Have fun decorating! 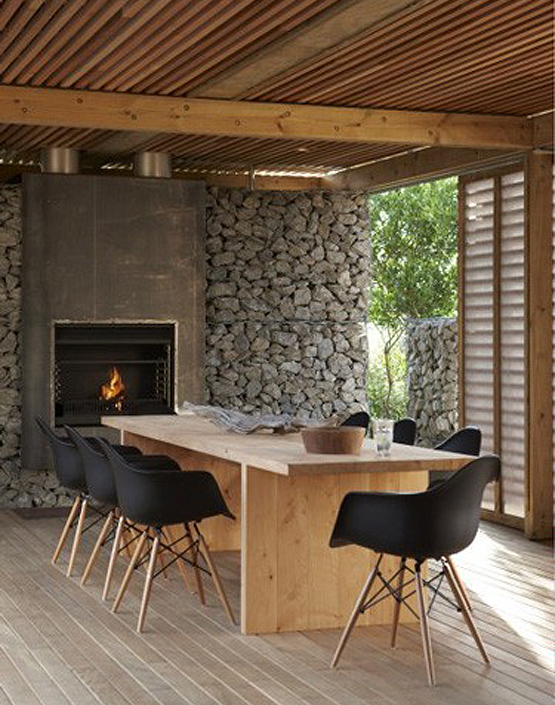 I think there'll be enough of a contrast between the darker wood table and the lighter wood chairs. 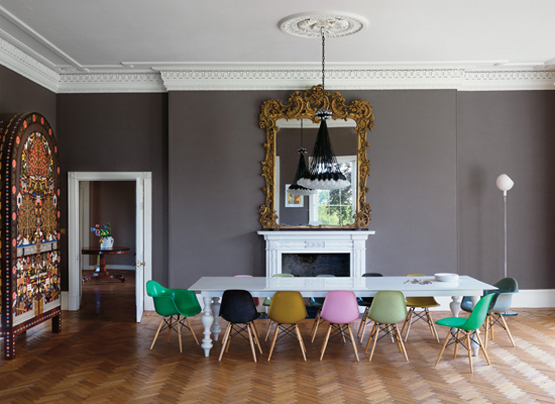 I'm shocked - you really don't want to buy FAKE famous Eames chairs, do you? I just can't believe that someone having quite influential design blog is even consireting buying fakes of Eames plastic chairs - the most iconic designs of XXth century. I'd have to pick the white plastic... I have been in love with those chairs forever! I'd say wishbone chairs. put soft little sheepskin covers and it'll soften up the look too. also, you'll won't get tired of them as easily as the eames chairs. 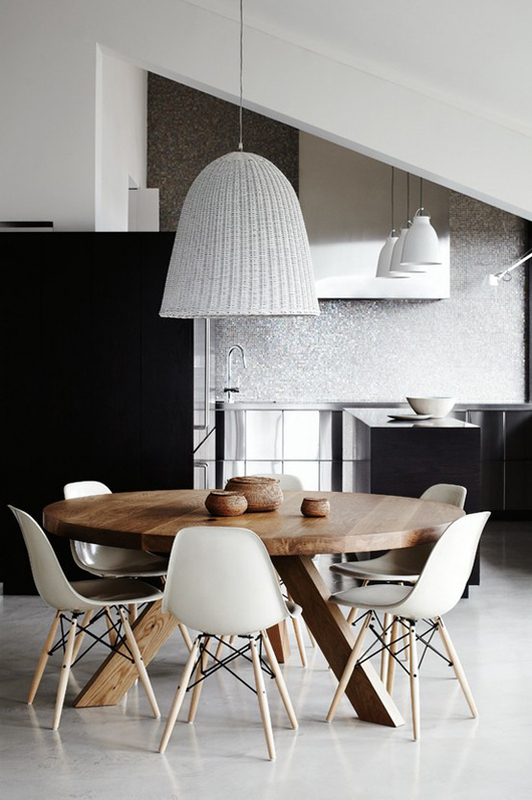 but it will be nice to have an eames chair somewhere in your house. Good luck! Can't wait to see what you pick. 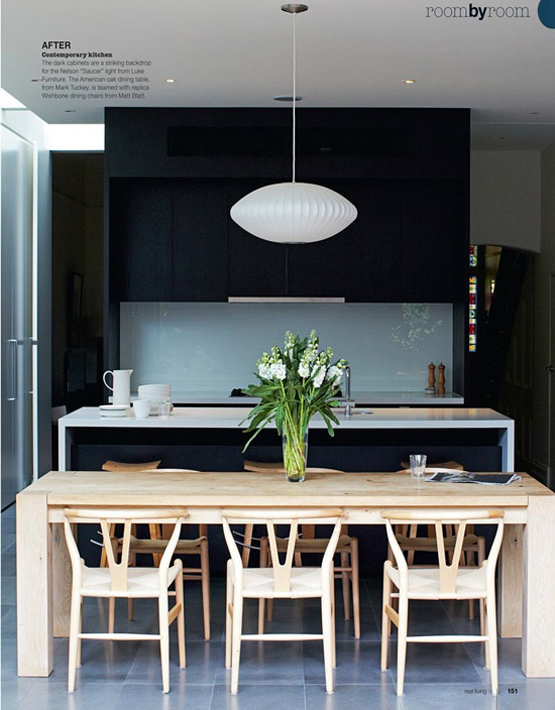 I have loved wishbone chairs from the moment I first saw them. I love the design & the simplicity. 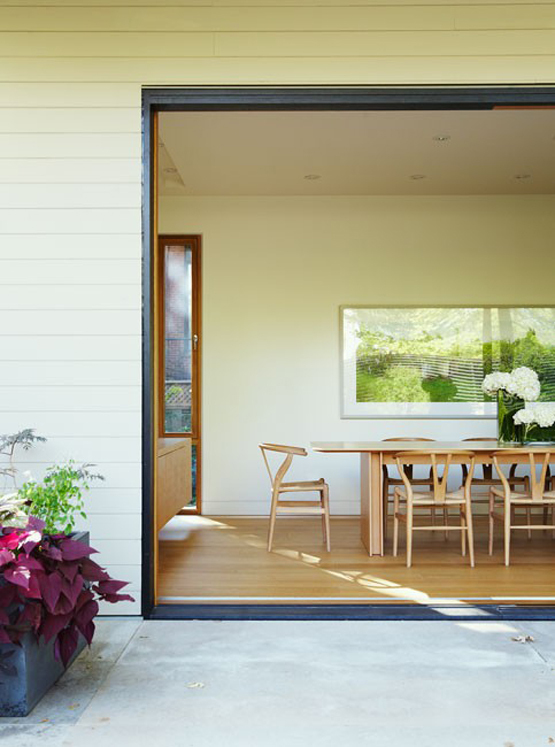 But, in this case, with the darker-ish wood table, I think my vote goes to the white chairs. to tutu or not to tutu? Belle: I have a big girl bed! what is it with fall and bags?